June 1, 2016 – Astronauts know their bodies will be tested during time spent on the International Space Station, from the 15 daily sunrises and sunsets wreaking havoc on their circadian rhythms to the lack of gravity that weakens bone density and muscle. NASA is working to counteract these otherworldly challenges to enable long-term human exploration of space. For example, special lighting helps with sleep, and rigorous exercise helps keep astronauts’ bodies strong. But, frustratingly, bone loss continues to occur. With missions to Mars on the horizon, the agency is increasingly interested in potential new treatments to help protect astronauts’ bodies. To advance understanding of how zero gravity affects bone density, scientists from Ames Research Center teamed up with BioServe Space Technologies, University of Colorado Boulder, and Amgen, of Thousand Oaks, California, for a series of three experiments conducted on mice. Amgen was already working on treatments for osteoporosis, a disease that weakens bones in middle-aged women and older men. 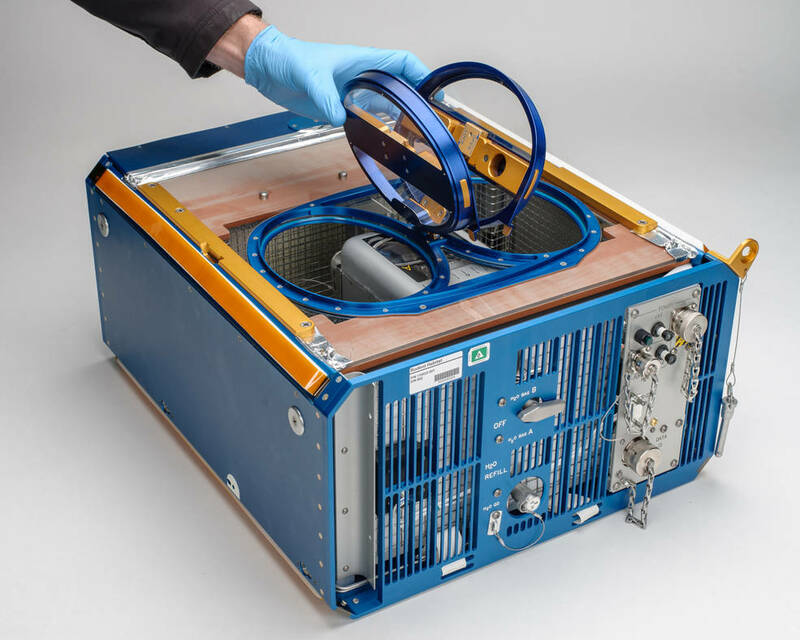 Louis Stodieck, a research professor at the University of Colorado Boulder and BioServe’s director, put Amgen researchers in touch with Ames to design the rodent research in microgravity. “The idea is, you can assess how things might occur in humans if you have good animal models that can predict what the human response is going to be,” both to weightlessness and to any possible treatment to counteract it, Stodieck says. During three separate space shuttle flights, groups of 15 mice, all about 10 weeks old, were sent into microgravity for two-week stints. Each time, one group was treated with a molecule designed to mitigate the loss of bone density and muscle strength, while a second group was given a placebo. Other mice got the same treatments but remained on Earth as a control group. 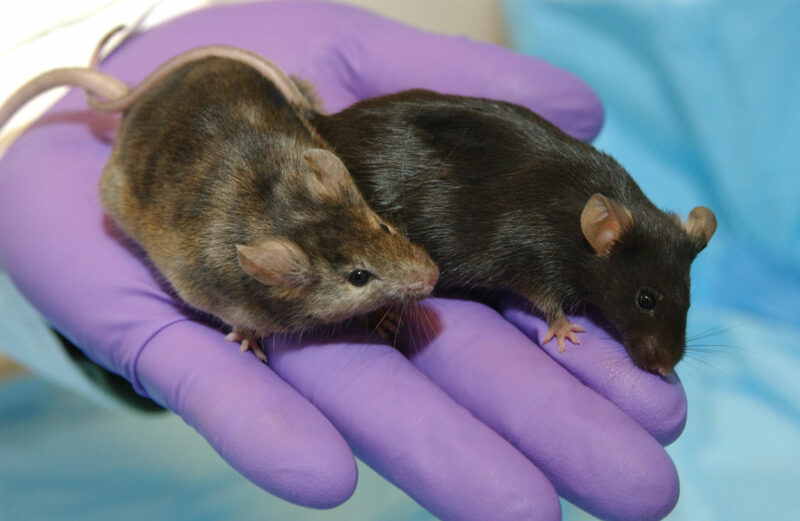 Although mice and humans don’t have identical physiology or biology, mice can still be used to help identify some basic mechanisms that are similar in humans and for early therapeutic studies. And since mice physiology, anatomy and genetics are well understood and they have much shorter lifespans, researchers can do many more and better controlled studies to learn about the potential effects of new treatments, which may help humans in the future. One experiment focused on sclerostin, a naturally-secreted protein that tells the body to dial down the formation of new bone. The mice were injected with an antibody that blocks sclerostin, essentially telling the body to “let up on the brake,” explains Chris Paszty, Amgen’s research lead on the project. That allowed the rodent bodies to keep regenerating bone tissue, resulting in increased mineral density and improved bone structure and strength. The results were encouraging: the mice injected with the antibody showed increased bone formation and improved bone structure and bone strength, similar to what was seen in the mice who remained on Earth. Amgen and partner UCB Pharma are working on a drug using the antibody that “is really going to shake things up,” says Stodieck. Another of the molecules tested by Amgen on the space flights is already approved in a drug, helping women with osteoporosis prevent broken bones. Marketed as Prolia, the drug was developed in part using mice data from Amgen’s first space experiment. And all these results from four-footed critters will give NASA another possible tool to consider for future space voyages, to Mars and beyond. BioServe Space Technologies is headquartered in CU-Boulder’s Department of Aerospace Engineering Sciences. BioServe researchers and students have flown hardware and experiments on more than 50 missions aboard NASA space shuttles, the ISS and on Russian and Japanese government cargo rockets. Since its inception in 1987, BioServe has partnered with more than 100 companies and performed dozens of NASA-sponsored investigations, said Stodieck. BioServe partners include large and small pharmaceutical and biotechnology companies, universities and NASA-funded researchers. Both undergraduate and graduate CU-Boulder students are involved in BioServe research efforts.